Today’s episode is going to take us deep beneath the surface of the Atlantic Ocean that is, and, if you can’t already tell from that intro, it have you holding your breath. How long? 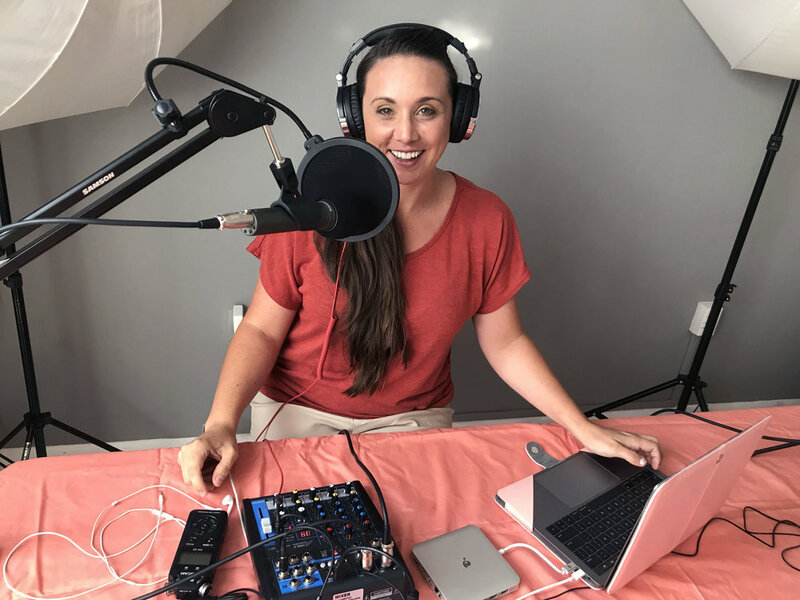 Well if you’re anything like our guest, you’ll be holding it for up to four minutes….that’s right!....we are talking freediving and spearfishing in Key West. you get a cobia, and you get a cobia! What is Freediving? Many people have heard of SCUBA…diving with a tank of air….and many people have heard of snorkeling…using a rubber tube to supply air from the surface while just your face is submerged….but freediving is different. It’s reaching the depths that a SCUBA diver can get to, but with only the equipment – essentially – of a snorkeler. As a practice, freediving goes back thousands of years, evidenced by skeletons unearthed by archaeologists which demonstrated a sea-faring people with an unusually high number of individuals with exostosis – what we today call swimmer’s ear – where basically the bones of the inner ear start to grow over the ear canal as a way of protecting it from repeated “on and off” exposure to water over an extended period of time, likely endured while diving for food. bringing up a modest mutton snapper. And historical references of ancient Greeks show they were known for their sponge diving, so across many cultures, diving while just holding one’s breath was common practice. The greeks used a technique where they’d basically sink themselves to the bottom with a large stone – referred to as a skandolopetra – interesting word – and then get hauled back to the surface with a rope. when you’re in this guy’s territory, you have to be alert at all times. while reef sharks are generally wary o people, they are not above taking advantage of an easy meal, and spearfishermen make it too easy when they shoot a fish and don’t get it to the surface fast enough. As a sport, however, freediving started to get recognition in about 1913, when a Greek sponge diver made headlines for retrieving the sunken anchor of an Italian navy ship. When he came up 3 minutes later, he was half deaf from perforated eardrums, but made the news and received the whopping reward of five pounds. From there, more interest grew, and changes in equipment made it easier. For example, dive masks had traditionally been round, but this made it difficult for divers to equalize their ears. looks like it will be hogfish sandwiches on the menu! Alex Brylske writes in “A Brief History of Diving” that, in an attempt to compensate for the pressure, divers would pour oil into their ear canals and down their throats just before descent, then spit out the oil when they got to the bottom….sounds fun right? So in 1938, a new mask design incorporated that molded nose section we know of today, which allowed a diver to squeeze their nostrils and solved the problem of equalizing their ears. This meant they could go deeper, without the risk of rupturing an eardrum. 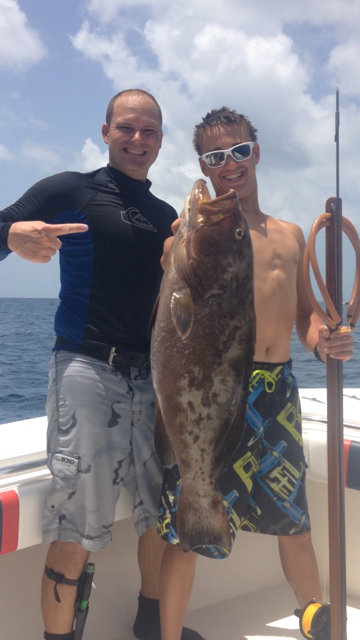 bringing home the bacon - or in this case, what will become coconut-crusted grouper dinner! this guy very possibly became yellowjack gnocchi at one of the local key west restaurants later that night. And deeper they went. The 1960’s saw Bob Croft, a US Navy dive instructor, who developed a breath-holding technique called lung-packing – something divers still do to this day - to reach a personal best of 73 meters in 1968. Jacque Mayol, a Frenchman, was the first person to break the 100m barrier, and 20 years later two Italian divers, Enzo Majorca and Angela Bandini reached 101 and 107 meters respectively. The current record is held by Tanya Streeter, a competitive female freediver who consistenty outdives the men in several categories, including her No Limits dive to 160 meters, achieved in 2003 that has never been broken. But that’s the world of competitive freediving. While impressive, it does not represent the majority of recreational divers and spearfishermen. Freediving as it’s done here in the Keys, is more a pursuit of depth and time because that affects what kind of FISH, and how many, you’ll come up with. And that’s where spearfishing comes into the equation. What is spearfishing? Well, just like it sounds, it’s a process of catching fish not with what we usually think of – rod and reel and line and bait – no…none of that. Spearfishing involves diving down, finding a fish, stalking it, and shooting it with a spear. And you might ask well what does spearfishing have to do with the sport of freediving, well…While you can certainly tank dive and spearfish at the same time, traditionally most spearfishermen are freedivers first. 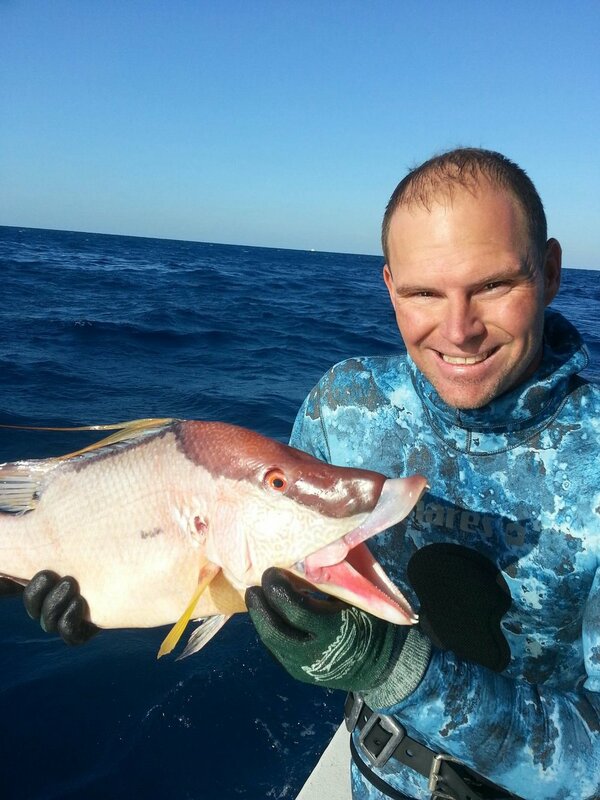 Spearfishing in Key West is primarily done for personal use…. So it’s regular guys and gals, going out, catching their limit of whatever is in season, and bringing it home to eat. Sportfishermen get a good long fight and a triumphant photo as their reward before releasing the catch back into the sea. Spearfisherman instead literally pick their fish by sight, have to outsmart it, and if they’re lucky, their reward is a tasty coconut-crusted grouper filet on their table that night. The tricky part is that unlike traditional fishing where you can throw a fish back if it’s too small, spearfishermen have only one chance to get that right, and it can be really tough underwater with the distortion of the water, to determine a fish’s size. Now, obviously the more experienced divers can tell easily, but I’ve gotten into conversations with them and when it’s a close call and a fish is right on the cusp, regardless of how good the shot is, they have to just watch the fish swim away. So it’s studious and deliberate, and they’ll talk a lot about the feeling of being sort of one with the sea, a stranger in another world, having a sense of stewardship about the ocean, and, like the Bahamian conch shipwreck divers and Greek spongers, a cross between fearlessness and respect. On today’s episode, I sit down with one of those fearless spearfishermen of Key West, Robert Bond. Now if you’re thinking “wait..Bond…any relation?” that’s because YES, Rob also happens to be my husband. But that’s not why I had him on. The guy has been spearfishing and freediving since he was a kid, and brought those skills to Key West in 2010.
rob bond smiling at the surface after another successful day on the water in key west. Together we go into everything from gear to types of spearguns, what to expect when spearfishing for the first time in Key West, and even some hair raising tales of close encounters with everything from tangled lines to shallow-water blackout, and how you’d never guess but even a grouper can put you in a life or death situation. As you heard in the intro, you can never be too careful when you find yourself no longer at the top of the food chain, and you’ve got something the resident sharks decide that they want. But Rob is no stranger to sharks. In 2011 and 2012, he was part of the elite shark diving team that protected famed endurance swimmer Diana Nyad, during her open water crossings from Cuba to Key West, this alongside Australian shark expert Luke Tipple known for his award winning work with the Discovery Channel, and in 2013 did the same for Australian swimmer Chloe McCardel when she made her unsuccessful attempt at the same stretch of ocean, this alongside dive consultant and shark team logistics manager Andy Olday from the UK. While Rob’s known more for his role in spearfishing education and as a personal dive guide than for competition, he also recently won first place at the Key West Spearfishing Tournament for largest hogfish, and he continues to volunteer every year with events such as the annual Swim around Key West and always donates fish to the St Mary Star of the Sea Soup Kitchen food drive, every Thanksgiving, which helps feed local families in need. So without further ado, I hope you will enjoy this interview with Robert Bond, local spearfisherman and freediver, and My husband, so enjoy the interview! what fish is this that I’m cracking up at, and why? find out during the interview!